When Tresor opened on March 13th 1991 in a shack on Potsdamer Platz, beneath which the vault of the Wertheim department store lay, no one would have thought that from there would arise an institution that one day would celeberate 25 years of existence. The venue had only been licensed as an art gallery and received a lease of just three months. Needless to say, in the early days, every single day they expected the authorities to close the venue down. Instead, the club became the formative stylistic starting point of a worldwide music and youth movement. The Tresor cellar, with its dance floor pressed between bank safes, the unique sound and the dense fog, became a symbol of the successful reunification of the youth of two formerly separated German states, who danced and celebrated here together from the club’s inception. DJs and artists from Detroit were the main inspiration for the sound of the vault - the now famous Berlin-Detroit connection resulted in a very special friendship between the two cities. As a club and record label, Tresor had already become a worldwide magnet and advertisement for the city of Berlin. Legacy for the future: what we can learn from the history of Tresor. by Dimitri Hegemann, founder of Tresor. 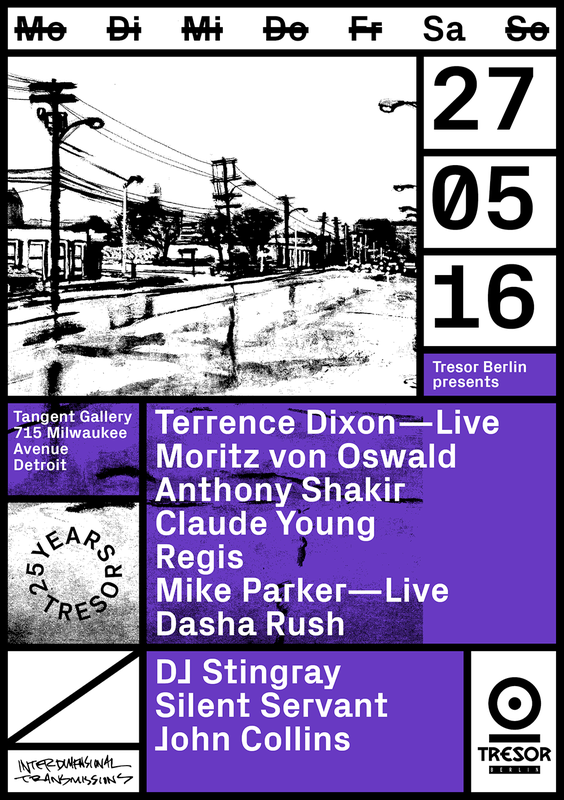 Without Tresor, Berlin would not be what it is today. Even though it sounds a bit pretentious, its true. Tresor was the prototype for an extraordinary club - only possible as a combination of the right time, the right place, the right content and determined people. Tresor pioneered the “zwischennutzung” - for low rents - of the rooms in the vault of the old Bankhaus Wertheim. Now the successful principle of “zwischennutzung” (temporary usage) has been used and copied by the many other clubs and creatives spaces that shape the new style of Berlin. Creative people from all around the world have flocked to Berlin and been inspired by it. They first came, on the one hand, for the new music - Detroit techno - but also for these mysterious urban spaces and the non-existent curfew (the latter the result of the hugely consequential law of 1949). Berlin became the melting pot for artists, painters, musicians, actors, designers and creatives of all kinds, and then later for visitors from around the world. The so-called Night Time Economy exploded to an unprecedented degree, reshaped the cultural landscape of the city and implanted a internal dynamism that fascinates and attracts investors from around the world. Today the Berlin model can serve as an example for cities big and small around the globe (as can be seen in our activities at the Packard Plant in Detroit, or with our Happy Locals initiative in which we encourage the mayors of Germany to follow Berlin in giving a voice to creative thinkers in their own communities and give them the gift of “zwischennutzung" for their experiments). The message from 25 years of Tresor is just as its always been, and as topical as ever: Give young people space to realize their ideas. Say “Yes” to their experiments. Let it happen.